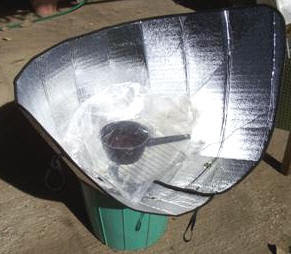 I have been studying about new methods of solar cooking. I realized I need to know this skill much better than I do. I pretty much just dabble with it and I need to know it as a skill. When doing research I came upon this blog by "Sloar Oven Chef" she started last year and cooking everyday it is sunny in her solar oven. This is about her journey - her successes and failures. She shares what she learned from the failures. It is a great read. I have learned alot, still have more research to do on this...most important is I need to practice. I am in Idaho and the weather is pretty finicky right now, but when it levels out, I am going to cook every sunny day this summer, so I can learn how to do this.